288 pages | 50 B/W Illus. The modern application server is a complex platform that is the linchpin of an enterprise environment that includes a very wide range of technologies-web document formatting, web protocols, server-side scripts, servlets, applets, programming languages, distributed object technologies, security capabilities, directory and naming services, load balancing, system management, and others. As such, it can be a daunting task to try to comprehend these systems. Application Servers for E-Business helps you understand the use of application servers in e-business. 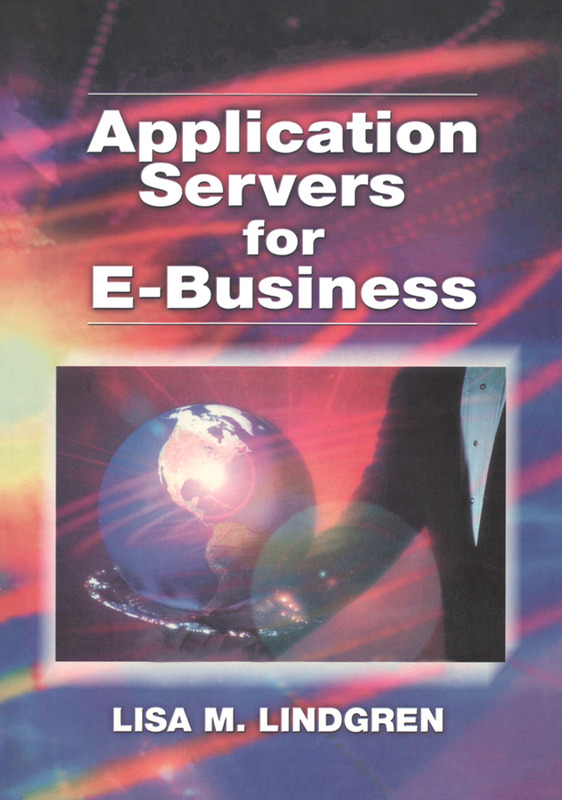 The book presents a comprehensive overview of the technologies related to application servers in their facilitation of E-business. These technologies include CORBA, Java, Enterprise Java Beans, Java 2, web servers, and legacy systems. It explores the role these servers play in the modern enterprise IT infrastructure and the environment in which they operate. The material also includes implementation considerations for application servers, including security, scalability, load balancing, and fault tolerance. Chapter one provides an overview of application servers, the evolution of computing that took us from hierarchical, mainframe-centric environments to the web model of computing, and the rationale for E-commerce and E-business. Chapters two through five cover specific technologies, from web browsers and servers to applets and servlets. Chapter three provides an overview of Java technologies, and chapter four covers CORBA. Chapter five discusses application servers in detail. Since application servers are increasingly supporting the key mission-critical processes of an enterprise, it is critical that organizations deploying them build in "enterprise-class" facilities for security, scalability, load balancing, fault tolerance, and management. Chapter six discusses these deployment design issues. The book concludes with chapter seven, a chapter that presents several examples of the advantages of application servers in large enterprises. It also presents two case studies that illustrate the decision process, and an overview of seventeen application servers. The chapters are organized in a straightforward manner, with section and subsections clearly indicated so that they can be easily skimmed. The comprehensive coverage offered in this book makes it an ideal reference for IT management and staff responsible for specifying, designing, evaluating, and implementing electronic commerce solutions.